English actress Emma Watson managed to elude Turkish media throughout her low-key three-day holiday in Istanbul, but she lashed out at journalists as she was frisked by airport police on her way back home. The 25-year-old Harry Potter star visited Istanbul landmarks including the Hagia Sophia and the Basilica Cistern during her short holiday, before leaving her hotel in Taksim on the afternoon on June 25 to return to the U.K., daily Hürriyet has learned. Traveling in a private car, Watson toured around Istanbul’s Atatürk Airport four times in a bid to elude journalists, before finally heading to her flight, accompanied by bodyguard Denise Morrone. At the airport’s VIP gate, however, she was unpleasantly surprised by the security gate insistently beeping as she passed. Watson’s discomfort turned to anger when Turkish paparazzi arriving at the scene started to photograph as airport police conducted a body search on her. 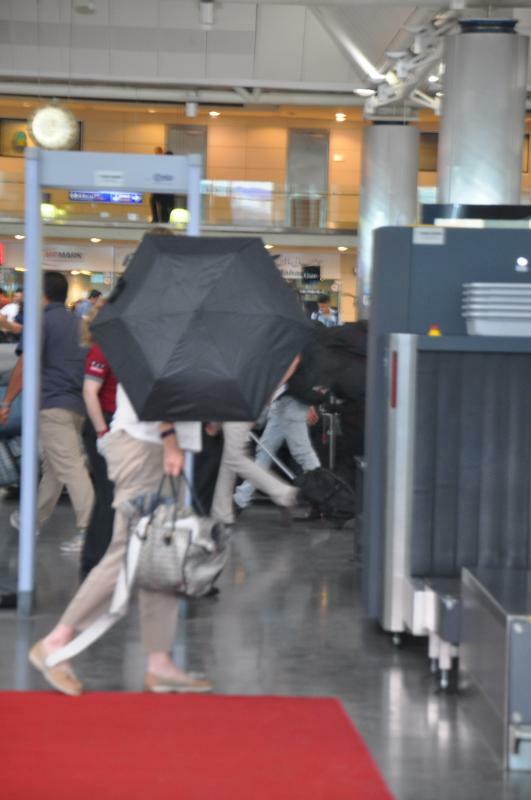 Morrone opened an umbrella to shield Watson, who eventually boarded the British Airways flight after complaining about the journalist hoards to airport security.